Here is a funny video mocking the new iPad. This makes my blood boil. In the past two years, Nancy Pelosi has cost us taxpayers $2.1 million dollars so she can fly around in Air Force planes. What’s even worse is that her in-flight food and alcohol expenses are $101,000! Whatever your party affiliation, I think we can all agree that this is utter waste. I would add a possible fifth step as well: The doctrine is denied. This same pattern can be applied to the liberalization of any Biblical doctrine. We must be on guard so as not to follow this pattern. The best way to guard against it is to preach and teach on the full spectrum of Biblical doctrines, rather than focusing on a handful and ignoring others. In general, what ceases to be taught ceases to be believed. What does this say about God? What does this imply about God’s truth? Can a truth clearly revealed in the Bible be anything less than good for us? … Apologizing for a doctrine is tantamount to impugning the character of God. Do we believe that hell is a part of the perfection of God’s justice? If not, we have far greater theological problems than those localized to hell. Indeed. As Dennis Prager once noted, it would be the epitome of injustice if the evil had the same fate as the righteous. If we love God, then we will love righteousness and justice. And if we love righteousness and justice, then the existence of hell is not something we should lament. The teen pregnancy rate declined 41% between its peak, in 1990 (116.9 pregnancies per 1,000 women aged 15–19), and 2005 (69.5 per 1,000). Teen birth and abortion rates also declined, with births dropping 35% between 1991 and 2005 and teen abortion declining 56% between its peak, in 1988, and 2005. But all three trends reversed in 2006. In that year, there were 71.5 pregnancies per 1,000 women aged 15–19. Put another way, about 7% of teen girls became pregnant in 2006. Among black teens, the pregnancy rate declined by 45% (from 223.8 per 1,000 in 1990 to 122.7 in 2005), before increasing to 126.3 in 2006. Among Hispanic teens, the pregnancy rate decreased by 26% (from 169.7 per 1,000 in 1992 to 124.9 in 2005), before rising to 126.6 in 2006. Among non-Hispanic white teens, the pregnancy rate declined 50% (from 86.6 per 1,000 in 1990 to 43.3 per 1,000 in 2005), before increasing to 44.0 in 2006. They also report that teen abortion rates rose 1% in 2006 as well. 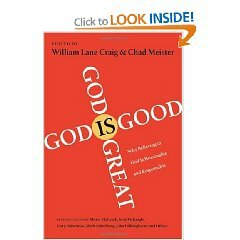 William Lane Craig and Chad Meister are the editors of and contributors to the new book God is Great, God is Good, which is a response to the New Atheists. I have not read the book yet, but I have read a review of its contents that makes me think this is one of the best books to-date on this subject. Not only can it boast of the contributions of top-notch scholars such as J.P. Moreland, Alister McGrath, Scot McKnight, and Gary Habermas, but it covers a breadth of issues raised by the New Atheists. If you are looking for a concise introduction and response to the new atheism, I would recommend this book. It was also named best apologetics book by Christianity Today. There are two things amiss about this response. First, it misconstrues the theist’s argument. He is not arguing that one must believe in God to recognize moral truths (a claim about moral epistemology) or to behave morally, but rather that God must exist for there to even be such a thing as morality (a claim about moral ontology). God’s existence is necessary to ground moral values in objective reality. If there is no God, there can be no such thing as objective moral values. We might choose to call certain behaviors “good” and certain behaviors “evil,” but such ascriptions are subjective determinations by human communities; i.e. they merely describe the beliefs and preferences of human subjects, not some object that exists transcendent to them. After my final teaching session, the son approached me, quickly launching into a laundry list of objections to Christianity. A lengthy conversation ensued, covering topics like objective moral truths, utilitarian ethical theory, Kant’s categorical imperative, retributive justice, divine hiddenness, intelligent design, and the experience of the Holy Spirit. From the conversation, I guessed he was a graduate student in philosophy. Wrong. 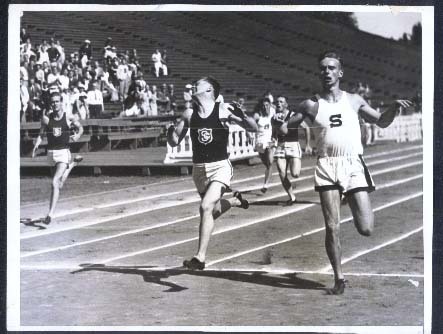 He was a high school senior. Let’s hope this kid can be persuaded out of his doubts by the evidence, and let his story serve as a lesson for all of us parents and leaders. We’ve got to get to our kids before the enemies of the faith do.